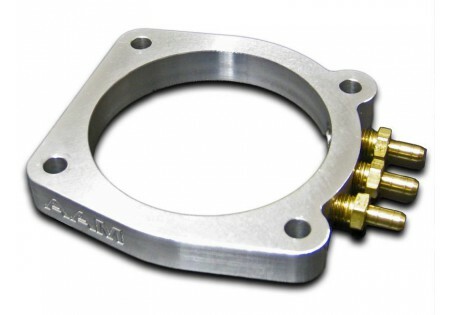 Each AAM Competition Throttle Body Spacer comes pre-tapped with three vacuum ports. 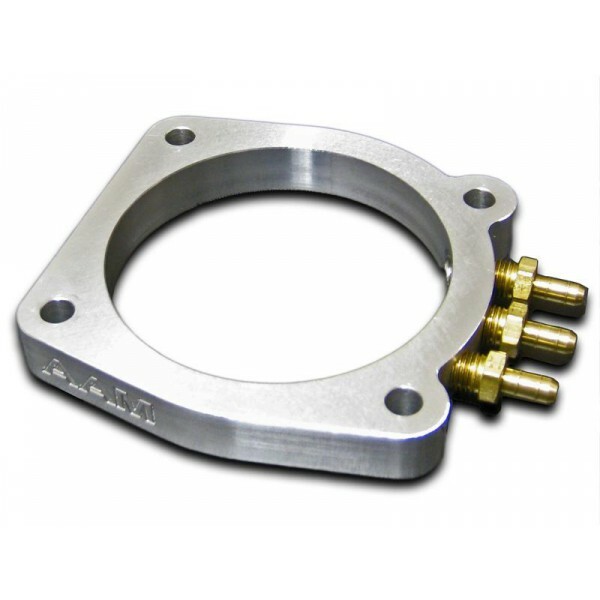 This saves both time and money when running vacuum lines (no need to tap the factory intake plenum with this spacer). Because you have more vacuum ports available you can run components seperately (ie. map sensor, boost gauge, fuel pressure regulator, boost controller, etc.) which improves both their performance and reliability. This will fit any VQ35DE engine (350Z, G35, Maxima, Altima).